I have myvi yr 2008. If i want to trade in with new almeera..
Salam Azimi, kami dah emailkan quotation. Can i know this 2013 nissan almera E have how many year warranty? hi,can u send me price almera,i need to know monthly payment and how much deposit. Hi dila, we have emailed you the quotation for Nissan almera. Recommended amount of down payment is always 10%. Hi…can i f the price quotation after discount…for Nissan Almera..
Hi Jamuna, we have sent you the quotation. Please check your email. i have myvi se 1.5, i want to trade in with a new almera. can u email me the quotation. salam, what’s the manufactured year for your Myvi? What’s the loan settlement balance? We have sent you the price quotation. I have myvi yr 2011. If i want to trade in with new almera E auto? Salam, may us know whats the loan settlement balance for your Myvi? salam, boleh saya tahu berapa harga after diskaun. bagaimana dengan student loan? berapa interest dan prosedur pembeliannya? Wasalam, kami dah emailkan quotation. You masih student? You ada penjamin? Boleh, sila check email you dan sediakan dokumen yang diperlukan utk permohonan loan. hi can u email me the quotation? hi the promotion is until when ya ? and what is the min salary can apply loan for this car ? Hopefully the promotion will be extended till the end of this month. Minimum basic salary to apply for this model is RM 2,500 and above. I’ve a Suzuki Swift 1.5, year 2009. Would like to trade in my car to Almera V Auto. Sure, please check your email for the quotation and there is a rebate of RM 3,000 available. i want to know details about Nissan Almera. I hope it is 0 down payment. Please send me the quotation. Terima kasih. Salam, we have emailed you the details and yes, we can arrange for full loan. nk tny nissan almera E A/T ade x utk graduate scheme ? Salam. kami dah emailkan quotation. Wasalam, adakah you masih belajar? Kindly email the price after discount, monthly installment and interest rate. please email me the quotation for nissan almeera.. latest updates one.. tq..
heard from the adv that monthly is RM499 is it true? This is for how long? hi. i ada viva 1.0 (a) 2009 .. full settlement end of this month RM 24,000.0 boleh trade in tak? 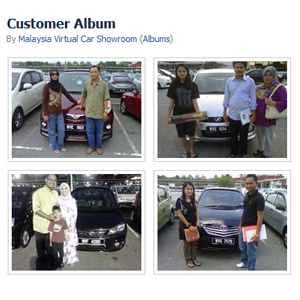 i berminat dgn almera ni..
Hi,could you kindly advise me on the promotion price for Almera. Thank you. saya ada gen2 Auto (hi spec) 2005, baki bank lebih kurang 15k. saya berminat dengan almera E Auto dan pembayaran 10%. roughly installment saya berapa untuk 9 tahun? Kami dah emailkan quotation. Sila check email you utk maklumat lanjut mengenai Nissan Almera. can you sent me the quotation of Nissan Almera after discount ? Boleh trade in, sila check email you utk maklumat lanjut. Please contact us for the myvi trade in value. Please check your email for almera quotation. Kalau i nak trade in myvi 1.3/ year 2007 /manual berapa u amek? Brape interest rate tuk almera skang? Kami dah emailkan quotation. Boleh hubungi kami utk dapatkan harga trade in? We have emailed you the latest price quotation for the Almera. Please check your email for the latest price and promotion. We understand that 🙂 Please check your email for more info. can i get the quotation for almera pls?tq! sy ada dengar iklan dlm radio yang monthly installment utk nissan almeera nie serendah rm499.betul ke?kalau betul utk model y mane eh? Kami baru sahaja emailkan quotation bagi model Almera ini. I want a E (Auto), What is the interest rate for 9 years installment. How long i can get the car after booking? Please check your email. Within 2-3 weeks, you can get the car. can i hv the quotation and payment schedule? anyway how much the latest interest rate? 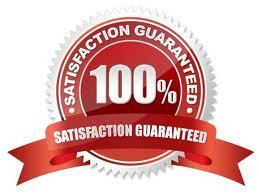 We have sent you the quotation and the interest is listed there. i want nissan almera…..but my basic is rm1200…….can u help me? Your salary is not sufficient. Yes, there is. Please check your email. I would like to trade in myvi 1.5SE (2008) for Almera1.5 E A/T sedan. Outstanding balance should be around 25K below. pls email me quotation for full loan (max tenure) and the montly installment. Hi Elmi, we have emailed you the quotation. Please let us know if you have any question. We have sent you the quotation as requested. Please send me the latest price and best discount for almera E auto together with month installment for 7 and 9 years. Thank you. We have emailed you the latest price quotation for E model. Nak tahu month installment for 7 and 9 years nissan almera E (A) slps diskaun.. kalu sy byr downpymnt RM20,000. Kami dah emailkan quotation bagi Nissan Almera. i want to trade in with my myvi se 2013, balance settlement till july is about 45k. please send me quot for almera E A/T. 1.3 se or 1.5 se? People would prefer to buy a new model and thus, your trade in value will be much lower. Kami dah emailkan quotation bagi semua model Almera. saya ada kereta myvi 1.3 year 2010. nk trade in dgn Almera baru dan nk tnye kalau 0 downpayment ? berape installment bulan2 ? Hi Nini, boleh kami tahu berapakah baki hutang kereta Myvi tersebut? Kami dah emailkan quotaiton. Sila hubungi kami semula jika you ada sbarang soalan. kalau sy byr rm5k utk E auto brp bln2 kena byr? i ada dgr tgk iklan dkt newspaper yg monthly rm499.. betol ke? utk model almera yg mne? Kami dah emailkan quotation. RM 499 cuma step up payment plan dan rugi kalau you ambil scheme ini. boleh jelaskan kenapa rugi ambil plan rm499 ni?? or bayaran bulanan harga biasa lebih berbaloi?? Wasalam, kami dah hantarkan quotation sebagai rujukan. Gaji bersih tuan tidak memenuhi syarat kelayakan. tp klau ada penjamin boleh kan? rasanya boleh lepas ka!? 1. What is the current cheapest bank interest rate for Almera & Myvi (1.5cc)? 2. Will appreciate if you could mail me the current price of Almera & Myvi (1.5cc) with discount. We have emailed you the latest quotation. The cheapest interest rate for myvi is around 2.65% and 2.35% for almera. Hi Imah, yes we have emailed you the details. The rebate can be used as part of your down payment. Hi Anne, yes boleh dapatkan full loan. Sila check email kami utk dpatkan quotation. boleh bagi quotation untuk harge almera auto.. ade diskaun ke x? bayaran bulanan? Hi Ju, kami dah emailkan harga dan discount terkini bagi model Almera ini. Hi Mimi, kami dah emailkan quotation. You boleh either pilih Perodua Myvi, Proton Saga, Mitsubishi Mirage, etc. Hi allen, please check your email. The interest should be from 2.35 – 2.5% depending on bank’s approval. Salam..bole send quotation utk almera E auto selepas rebate?..d/payment rm10k, 9 thn..
Wasalam, kami dah emailkan promosi dan quotation bagi Nissan Almera. Wasalam, you deal dengan dealer mana? kindly email the price after discount and monthly installment & interet rate range (7 year & 9 year) down pyt 10k nissan almera 1.5E. We have sent you the latest quotation for your perusal. Hi…im eager to get more details about Nissan Almera. Preferably with 0 down payment. Could u please send me the quotation. Thank you. We have sent you the quotation and we can arrange for full loan if you are interested. Hi, please send me a quotation for E auto spec with RM300.00 d/p. One more thing is it true promotion for August, ETCM giving free impul kit? Yes, that’s very true. We have sent you the latest quotation for Nissan Almera. Hi, I would like to know the price after discount for E auto 1.5 almera and the gift, as well as the interest rate. Can email me the quotation, as well as interest rate and free gift? Thank you. Sure, please check your email for more info. Can email me the Almera quotation, as well as interest rate and free gift? Thank you. Yes John, we have emailed you the details you needed. saya berminat.kereta pesona sy thn 2008 dah 5thn pakai utang ada 37000 lagi.tred in tinggi ke?almera auto 9thn full loan bole?tlg antar qoutation tq. Salam Anuar, baki hutang kereta you masih tinggi. wasalam, boleh kami tahu berapa baki hutang viva tersebut? We have emailed you the latest price and promotion for the new Almera. Hi, May I know if booking Almera, how long it take for me to get the car? It depends on the color and variant you choose. Please check your email for the quotation. Hi.. Sy pakai kereta honda city idsi 2003.. Ingat nk trade in.. Baki masih ade dlm 24k.. Kalau nak wat full loan untuk model v auto boleh x.. Basic gaji 2.7k gov servant..
Hi Eb, yes boleh buat full loan jika berminat. Sila hubungi kami jika tuan ingin mendapatkan harga trade in bagi Honda City tersebut. Hai, we have emailed you the details. 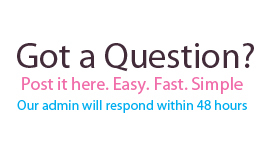 Please let us know if you have any question. Hi, kindly send me the Almera E quotation & rebate. Thanks. Hi Sho, we have emailed you the quotation as well. Wasalam Quena, we have emailed you the details. Please check your email. 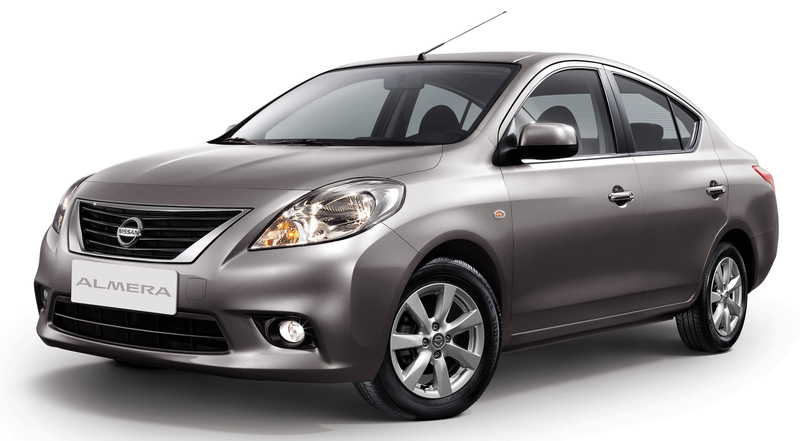 We have emailed you the latest price and promotion for Nissan Almera. Wasalam, we have emailed you the quotation as requested. Wasalam, we have sent you the quotation as requested. May i have the quotation for almera V auto… Would like to trade in with Viva 1.0 Elite (Nov 2011). Loan settlement left RM32000. Would prefer to have full loan if possible. Salam, the outstanding balance is still high and you may not be able to sell it. bole emailkan quotation almera 1.5 e auto.. rebate bole tolak dlm deposit kan? Yes, rebate boleh tolak deposit. sila check email you utk dapat details. Kami dah emailkan maklumat lanjut. Sila hubungi kami di 019-3559448 jika you berminat. Hi, i have a Viva yr 2010, wanna trade in to get a new Almera. Kindly send me the quotation. Thank you! Wasalam, kami dah emailkan quotation bagi Nissan Almera. The discount rm3k still valid? Kami dah emailkan quotation berserta dengan promosi terkini. Trade in waja 2005auto how much? Please contact us at 019-3559448 if you would like to find out the estimated trade in value. Please check your email for more info. Sure , we have emailed you the quotation. The loan balance is still high, what year is that? Salam Haniff, kami dah emailkan harga Nissan Almera dan boleh hubungi kami utk set appointment dengan used car dealer kami? hi. can u email me the Almera quotation with 0 downpayment and is the promotion still available?Thank you. Hi Mas, yes we can arrange for full loan and kindly check your email. bole email sy quotation ? Wasalam nurul, kami dah emailkan quotation bagi kedua dua model Nissan Almera E & V model. Wasalam, are you working as a full time worker? What is the price for Almera full specs. What are the current promotion. Hi Chris, we have emailed you the promotion together with the quotation. Thanks! Saya ada waja 2001 (A) loan dah habis. Berapa estimate the lowest value kereta waja tu untuk trade in ambil almera variant E auto? Value trade akan digunakan untuk dp. Variant E ada warna apa? Sekarang berapa lama perlu tunggu untuk dpat kereta? Yup, stock bergantung kepada color. Boleh hubungi kami utk dapatkan harga trade in bagi Waja tuan. How we get the RM3000 rebate, can it be transferred to the 10% down payment? Send me the E auto quotation. Hi Simon, yes you can use it as your down payment. Please check your email for the quotation. can u send to me a quotation for almera auto, for 0 downpayment? boleh dapat quotation untuk almera versi E (A) dan versi V, berapa diskaun dan free gift sekarang..
Hi Azis, kami dah emailkan quotation bagi Nissan Almera and sila hubungi kami jika you ada sebarang soalan. Hi Yunni, please check your email for the quotation. sent me quo 4 nissan almera..
Hi Am, quotation sent. Where’s your location? Sure, we have emailed you all necessary information. Please let us know if you want to purchase from our Nissan dealer. Our quotation only include Semenanjung’s price list. Plan to buy a car. What are the discount available for almera? Yup, we have sent you the details. RM 3,000 rebate is still available. Hi Atiqah, yes model ini masih ada discount. Sila hubungi kami di 019-3559448 jika you ada sebarang soalan. Hi. Would you send me the quotation details for E Manual as well as E Auto? Thanks in advance. hi keelip, you can download the quotation for both nissan almera model from our link that we have sent to your email. Hi.. Nak mntk send quotation. Hi Hana, kami dah emailkan quotation ke email you juga. Hi Vincent, we only operates in Semenanjung hence we are not able to assist you further. Hi Aisya, the loan balance is quite high and you may need to top up some amount if you plan to trade in. kalau saya nak bayar deposit 10K , cadang nak beli bulan januari 2014 atau Februari 2014, ape gift dan cash voucher dapat??? brapa monthly selama 9 tahun ? Salam Pali, boleh check email kami dan free gifts adalah seperti yang tertera didalam quotation kami. Hi Pali, kami dah hantarkan quotation semula. Hi..saya nak beli almeera ..still ade rebate ke..n nk pakej impul..
Hi, model 2013 masih ada rebate dan sila hubungi kami secepat mungkin sementara stock masih ada. Hiiiii..boleh minta quotation untk almeera x…selalunya deposit minimum berapa ribu?kalau full loan plak camne ye..
Hi Ida, kami dah emailkan quotation dan sila hubungi kami utk dapatkan promosi terbaru bagi model ini. Would like to trade in Iswara Aeroback SE2003 (silver) and loan fully settled. Interested Almera 1.5E AT with dp RM5K + rebate RM3K for 9yrs loan and plus bodykit impuls. Kindly quote the installment and what free gift you can offer. Thank you. Hi Yinson, we can help you with the trade in process as well as the purchase of Nissan Almera. Please check your email and please give us a call to discuss on the latest promotion. Hi, we have emailed you the details and please let us know if you are interested in getting 2013/2014 model? 1) included the impul body kit? 2) included the rebate ? No it doesn’t and please give us a call to discuss on the accessories. Hi.. please email me quotation for Almeera 2014 1.5L VL A/T & the discounting asap..
Hi Eja, please check your email for the quotation. Brape hrga muka elmira n bulanan ye..
Model yang mana sati you berminat? Sila check email you utk dapatkan quotation bagi setiap model. Hi , still ada discount utk 2014 . Boleh bg price kalau byr downpayment 10k utk almera E auto ? Hi raihana, kami dah emailkan promosi dan juga harga terbaru bagi model tersebut. Salam…basic salary saya RM1300 dan gaji bersih says RM1900…boleh take kalau saya nak beli Nissan almera dengan membayar 10% d/payment…Kala boleh berapa monthly? Wasalam Hafiz, you perlukan penjamin jika you berminat. Hai. I have persona elegance 1.6 H-line year 2010 which already settle all payment with bank. My salary nett is rm1700 on slip without any comitment outside the payslip. I would like to trade my persona with nissan almera 1.5 e A/T. Is it possible for me. Or do I need to pay extra deposit after trade with persona for almera ? Hi Raheimi, yes it is possible to get the loan given that you use all the money from selling the Persona as your down payment. Wasalam, kemungkinan besar you perlukan penjamin kerana pekerjaan saudari yang berstatus kontrak. Kami boleh cuba buatkan permohonan loan jika saudari ingin mencuba nasib. boleh bagi harga terbaru nissan almera..
Wasalam, kami dah emailkan quotation beserta dengan promosi terkini. Hi, boleh kami tahu berapa baki hutang viva elite tersebut? Boleh ke emailkn harga terkini almera tnpa d/pyment n 10% dwnpayment? Boleh hubungi kami dgn segera sebelum interest rate naik. kalau saya bayar dowmpayment untuk Almeera 2014 Auto, monthly payment berapa ya? Can u give me a quotation for Almera all type with or without downpayment & how if I want trade in my Chevrolet Aveo Notchback year 2006? Salam, kami dah emailkan harga dan promosi Nissan Almera tersebut. Kami dah emailkan quotation. Basic salary dalam RM 2,500 ke atas. If sye nk trade in Saga flx 2013 (full loan) n ambil almera 1.5 E (A). Bole bg quotation? Boleh kami tahu berapa full settlement Saga tersebut? hello,can I know the lattest promotion offer of nissan almera E auto and any free gifts besides discounts on 14 october 2014?How much is the tradein price of my waja manual dec 2005?How much do I have to pay monthly after deductions of the waja n another RM10000 cash? boleh bagi harga terbaru nissan almera. monthly berape kalo 10% dp dan kalo buad full loan pula berape? tenkiuu. Ade alza 2010 nak trade in ambik almera auto 1.5 tanpa apa-apa bayaran tambahan, boleh? Boleh, sila check email you. Sy nak tanye ape free gift yg kita dapat bila beli nissan almera..
Free gift list & quotation dh emel.